Farmer Chuck was raised in Plaquemine, LA. His family owned a land and cattle business. He graduated from LSU with an Animal Science degree and moved to southwest LA to make it on his own. 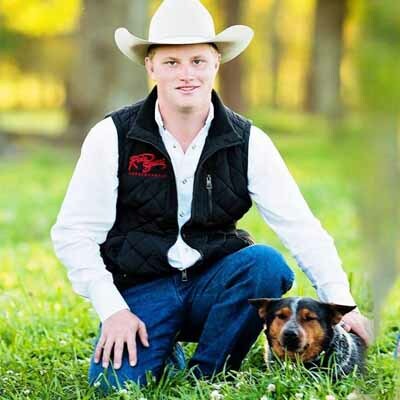 He purchased 100 acres of land on the Allen – Beauregard Parish line and started his herd of cattle. Chuck is the wheel that keeps the farm going, the hay baled and the animals fed! Jackie was raised in Grant, LA on a commercial cattle farm. 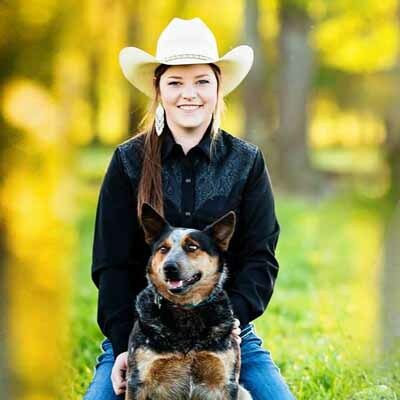 She’s a real cowgal, having competed in high school rodeo events! Jackie graduated from McNeese State University with an Elementary Education degree. Her father worked on the farm, and her mother was a teacher. Jackie says, “I grew up just like my kids are growing up, minus the watermelon growing, fruit stand, and maze!” Jackie was formally a 6th grade English Language Arts at East Beauregard High School. 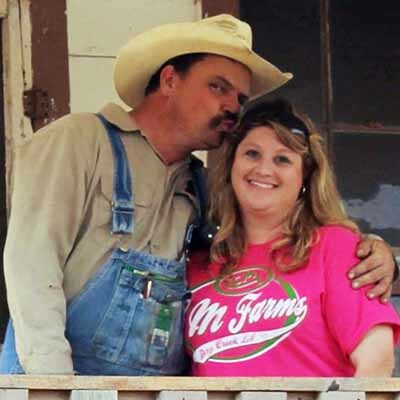 1997 … We were married and moved onto the 100 acres that Chuck had purchased 6 months earlier. 1999 … We built our house on the 80 acres we purchased next, and in March of 2000 our twins, Allison and Christopher, were born. 2000 … In April we bought 111 acres. In March at the same time our babies were born was also the very first time we planted watermelons. Our babies have grown in the last seventeen years, just like our business. We sold our watermelons at the end of our driveway. 2001 … We bought the land where our Country Market was from my dad and sold our watermelons off of a trailer under the only tree there. 2002 … We built our stand and continued to make improvements to it. 2009 … We opened the maze and had the time of our lives. It was so much fun teaching children about animals and the farm. 2010 … We had the opportunity to buy 664 acres in Dry Creek. We have moved buildings, animals, maze things and ourselves. Our new location will allow us to have a bigger maze with more activities and be able to have everything in one location instead of four. 2012 … We were able to buy 56 acres adjoining us. The Lord has blessed us with this now 720 acre farm to run cattle & sheep, raise watermelons & cantaloupes, grow a big ole corn maze and most importantly share it with our guests and their families to make life long memories! We have about 200 Gulf Coast Native sheep, the largest flock of this type of sheep in Louisiana. We bought the foundation flock of Dempsy Perkins after he passed away. We had bought some sheep from Mr. Dempsy thru the years and before he died he told his wife, Mrs. Brenda, if she ever had to sell the sheep he wanted Chuck to have them. It was a huge honor.